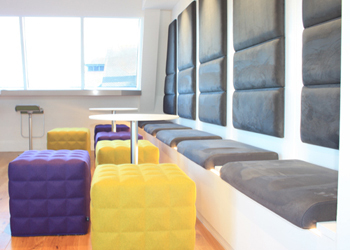 WE worked with Pure in helping them find some suitable meeting pods for their open plan office. After looking at the options they selected the Meeting pod from The Meeting Pod Company with standard dark grey foam on the upper interior and grey on the seats. The standard white exterior was used. WE had a request for a particularly fast track project, and we were happy to help! The requirement was for 100 no. desks, chairs and pedestals that were needed in a very short time frame, including delivery and installation to Birmingham. 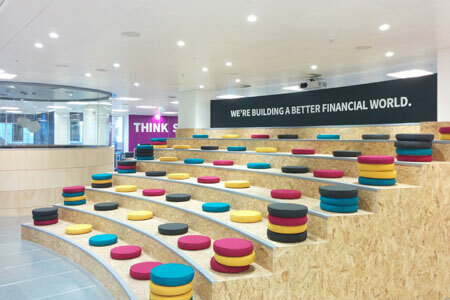 The products also needed to be similar in style to their existing office, but we had to keep a very close eye on the budget. 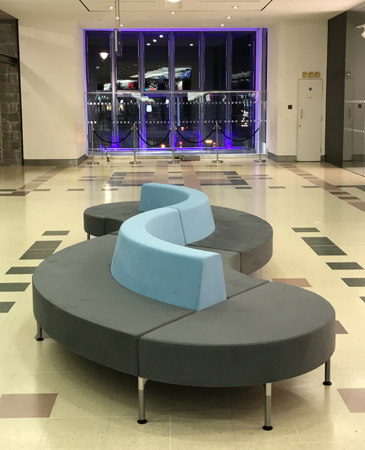 WE recently installed some soft seating into the Atrium areas at The Friary Shopping centre in Guildford. 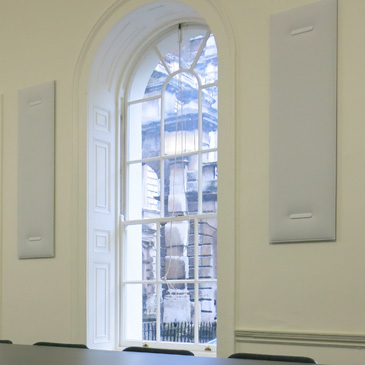 In our second blog on the work we have been carrying out at Funding, WE want to look at the storage solutions that have been utilised in the space. 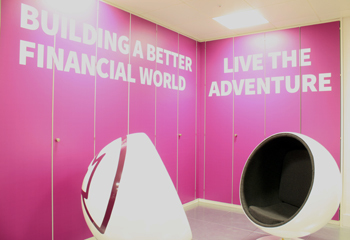 WE have now completed phase 2 of the Bond Davidson office project in Esher, which was great fun and used a variety of products to create different environments and breakout spaces within the office.